I don’t remember a time in my life when Star Trek wasn’t a part of me. It’s not that I ever set out to be a Trekkie, or that it ever consumed me as an obsession—it was just there, like the air I breathed. September 8 was the 50th anniversary of Star Trek, which premiered a good year and a quarter before I did. I don’t know if my family ever watched the original airings, so I’m sure my first exposure to it was when it played in syndication. However, unlike The Twilight Zone and Monty Python’s Flying Circus, I have no recollection of the first time I saw Trek. It was one of those shows that to my young mind always existed. As a child, I was actually a bigger fan of the more kid-friendly Lost in Space, which stirred my imagination despite knowing even then that the show was cheesy. Star Trek was a grown-up show, and as I grew older the themes and concepts it explored resonated more with me. We can laugh at how heavy-handed it dealt with some issues, but like The Twilight Zone and M*A*S*H, this made the stories have deeper meaning and more importance than most of the programs that aired at the time. And yes, I recognized and appreciated this while still in elementary school. While visiting my aunt and uncle’s house, I discovered a book written about the making of Star Trek. I was intrigued by everything that went into producing the show, from the writing to the cast to the special effects. The book even had a diagram of the Enterprise, which made the ship seem that much more real due to the amount of detail put into its design. In my mind, Trek became more than just a TV series—it was almost mythic. Unfortunately, I couldn’t share my love of this show with my friends. Despite their own attraction to science fiction, they made fun of me when Trek was mentioned. So it became a topic I did not bring up. We could enjoy Star Wars, The Six Million Dollar Man, Planet of the Apes, and a myriad of other genre movies and TV series, but for some reason Star Trek had a stigma attached to it that I did not understand. Perhaps this is what prevented me from seeing Star Trek: The Motion Picture when it played in theaters, if nothing else but the fact that I had no one to watch it with. By the time that my family had gotten HBO, I watched that movie every chance I got. The special effects were breathtaking and the sets were spectacular, even if the story was slow and the cast felt like they didn’t really want to be there. It was also odd seeing how old they looked after being away from the show for ten years (little did I know back then). When I was in 9th grade, Entertainment Tonight had a story about how the second movie was being made, but that Spock may be killed off. Like many other fans, I was incensed. They couldn’t kill Spock! What were they thinking? ET had a 900 number you could call for 99 cents and vote whether you wanted Spock to live or die. Of course, the results were overwhelmingly in the favor of keeping the Vulcan alive. Fortunately, the producers didn’t listen to the poll; Star Trek II: The Wrath of Khan worked as well as it did because of Spock sacrificing himself to save the Enterprise and its crew. That was a heart-wrenching scene, and the movie would’ve suffered if he had survived. Also, there would be no plot for the next two movies! It was also during high school that I discovered the Star Trek novels. They told stories from the original 5-year mission as well as the years between the two movies (which were made three years apart, but in screen time encompassed about fifteen years). In some ways, the novels were better than the filmed stories because the authors were able to delve deeper into the characters and science fiction concepts. The world building of the Federation of Planets was more specific than what had been done on TV and film. Writers like Peter David, Diane Carrey, JM Dillard, and Diane Duane were on my radar. I rarely went anywhere without a book, and quite often it was a Star Trek novel. In fact, I got a girlfriend while in college because I was reading a Trek book and she noticed—we ended up dating for two years and are still friends to this day. In my first year of college, I found out that Gene Roddenberry was bringing Star Trek back to TV in the form of The Next Generation. I was excited, but scared that it would be a poor imitation of the original. I watched the premiere, and kind of liked it, even though it didn’t blow me away. I stuck with the show through the lousy first season. The cast was great, but the episodes were not; the writing was often iffy and I was disappointed that the style of photography was stuck in the ’60s with a lot of zoom lenses and fake wall planet sets. The first episodes that really excited me was “Conspiracy”, in which Starfleet officers were infected with mind-controlling parasites, and Picard and Riker killed the leader by melting his head with phasers. That was a turning point. The show got better, and in some ways surpassed the original. More movies and TV shows came. I discovered friends who were just as excited about Trek as I was. I saw the premiere of every new version, whether on TV or in the theater. With the exception of the series Enterprise, I stayed with each series until the end, and now I wish I had with that show as well because I hear the last two seasons, which I missed, were quite good. It seems every show took until the third season to hit its stride. I went to my first convention when I was in college, accompanying a friend who was volunteering at it. The con was small, only taking up a couple of meeting rooms in a hotel, and it wasn’t quite what I expected. I had heard so many stories about nerds at conventions while growing up that I was a bit nervous about actually going to one. But it was fun, and I got to meet Scotty himself, the late James Doohan. Now I’m on staff at Pensacon and have met a number of cast and crew from various incarnations of Star Trek, and even consider some friends. 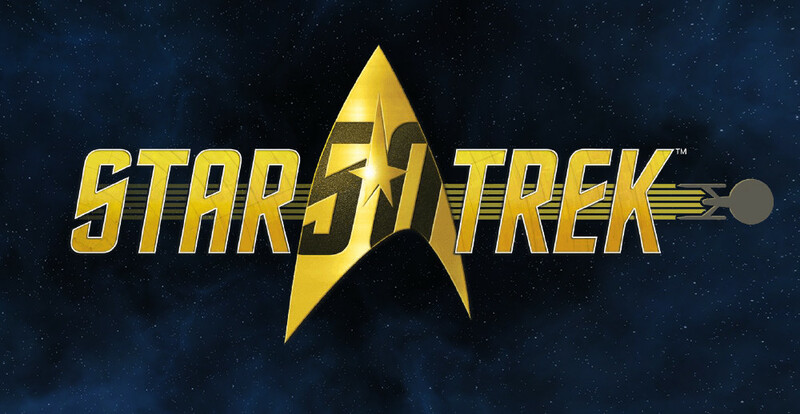 For 50 years, Star Trek has entertained and touched the hearts and minds of so many. It hasn’t always been great, and there’s a lot of contention as to whether the new set of movies are “real” Trek. We have a new TV series on the horizon, and yet again we worry if it’ll live up to what came before. But this fictional universe that Roddenberry created that has been inherited and interpreted by so many others has had a positive affect on me. I can’t imagine life without Star Trek.